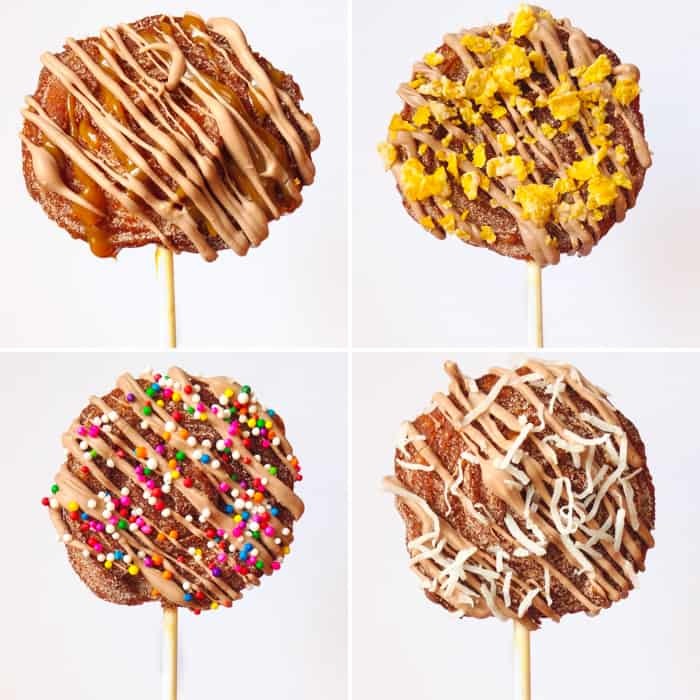 This churro pops tutorial is courtesy of our contributor Karen of Cake Bites by Karen…Summer is just about here and what I love most about it is being outside with my kids (without a coat). I love playing in the backyard, hanging at the beach and going to our local fairs. Beside the rides and the games, what I love most is the food and (to be specific) the fried food! 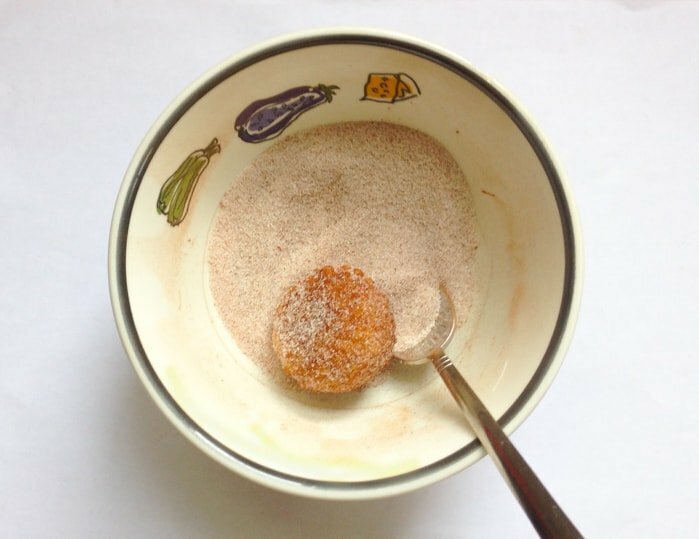 You’ll start with any churro recipe (these are the proportions I used – but any churro recipe will do). Heat together water, butter, brown sugar and salt. Bring to boil. Then add your flour, stirring quickly until it is combined. Remove from the heat. With a wooden spoon, incorporate your eggs, one at a time. You want to do this quickly so the heat doesn’t make your eggs scramble. 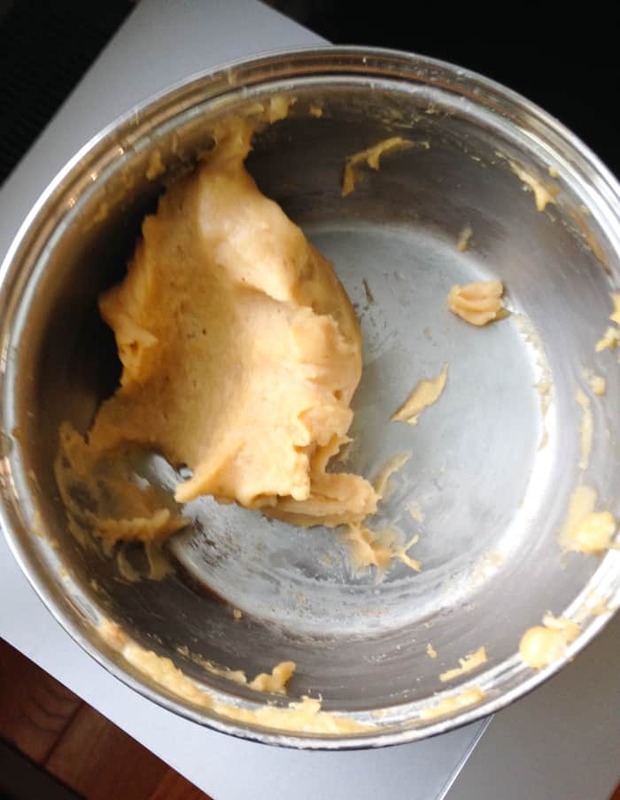 Stir until you have a smooth dough mixture. 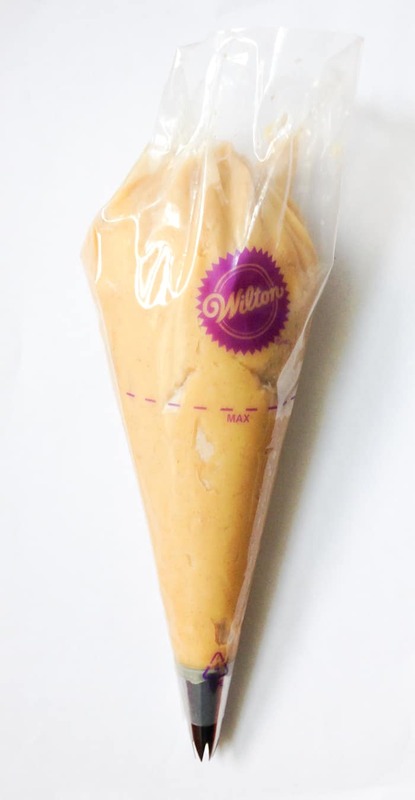 Place the dough into a piping bag. Follow the instructions (unlike me) and don’t overfill your bag. 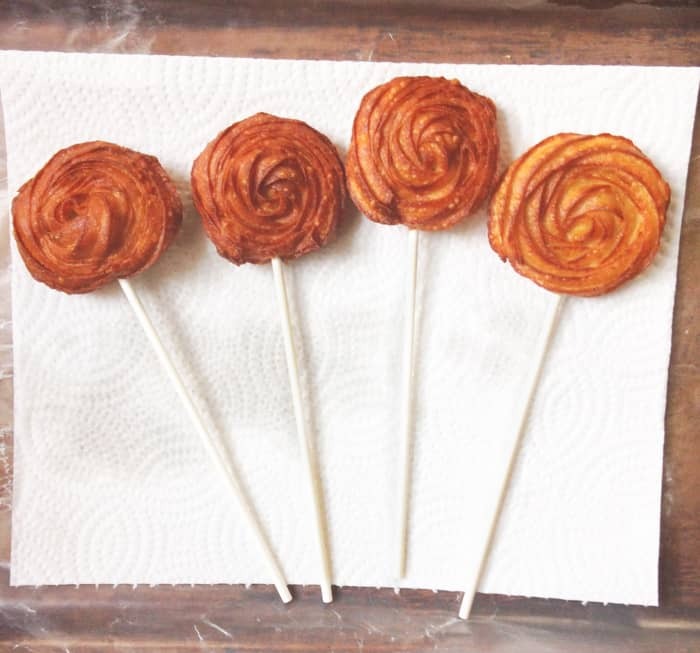 On wax paper, pipe your dough into floret circles – kind of like a jumbo lollipop (see picture). Start by making a small circle and pipe around it in a circular motion. 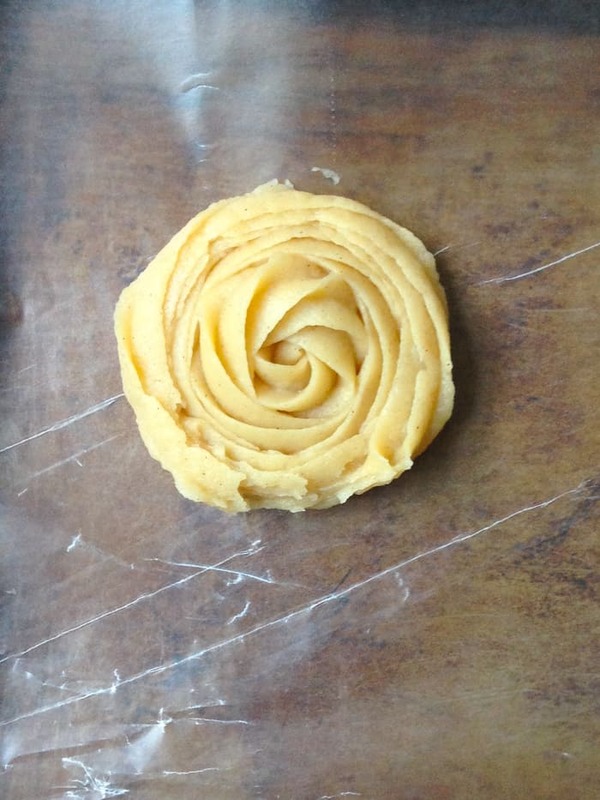 Place your dough florets in the freezer to set and harden. I put mine in overnight but that’s not necessary. Remove from the freezer and place into/fry in hot oil. If you have a deep fryer or thermometer, here is the time to pull it out. I didn’t, so I had to work quick as the oil gets hotter the longer you have it on. A tip I use to test if the oil is hot enough, is to dip a small piece of dough into it. 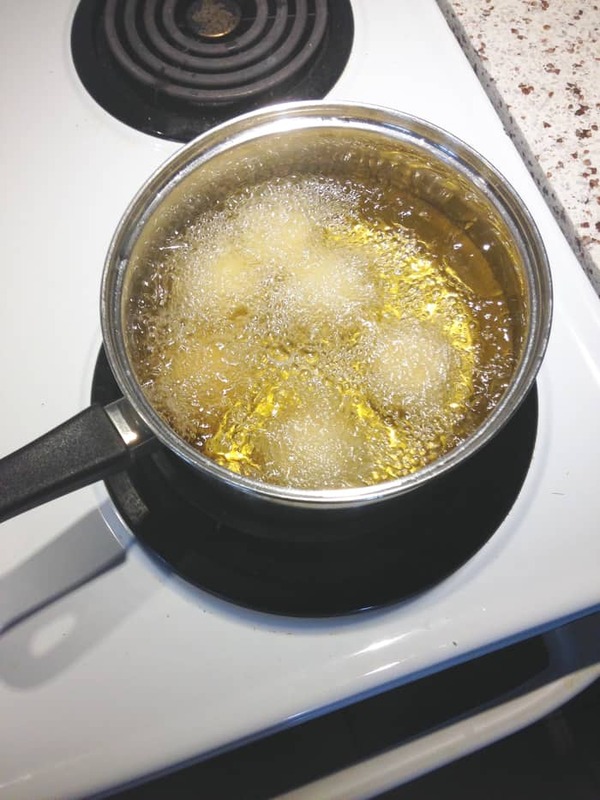 When the dough starts to bubble and fry, you can put in your florets. If it doesn’t fry up, then let the oil heat up some more. 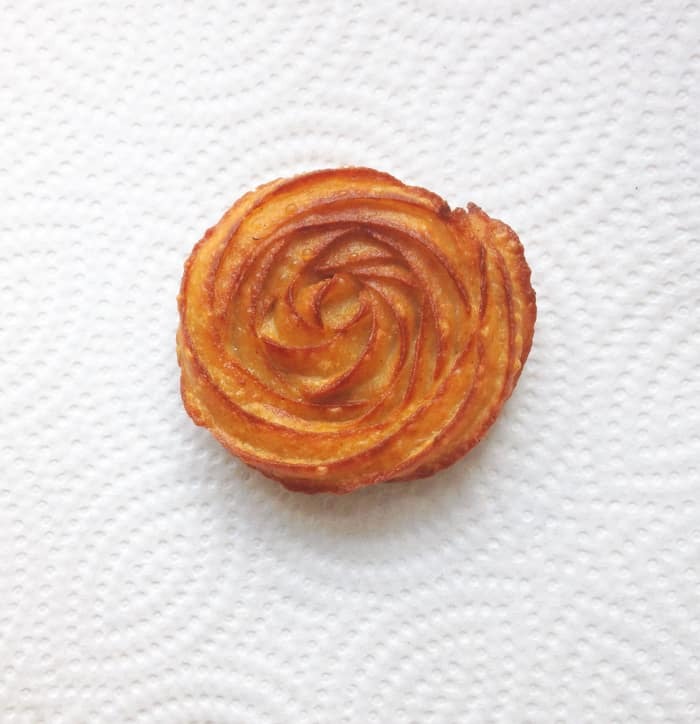 Fry the churro florets until they are a golden brown colour and lay them on paper towel to absorb the oil. 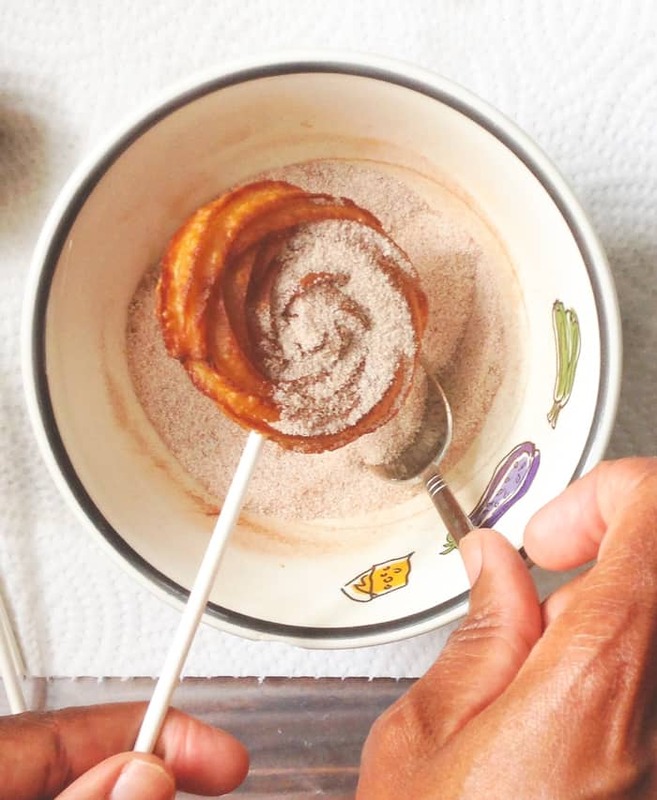 Take your treat stick and insert it into the fried churro floret to create a pop. 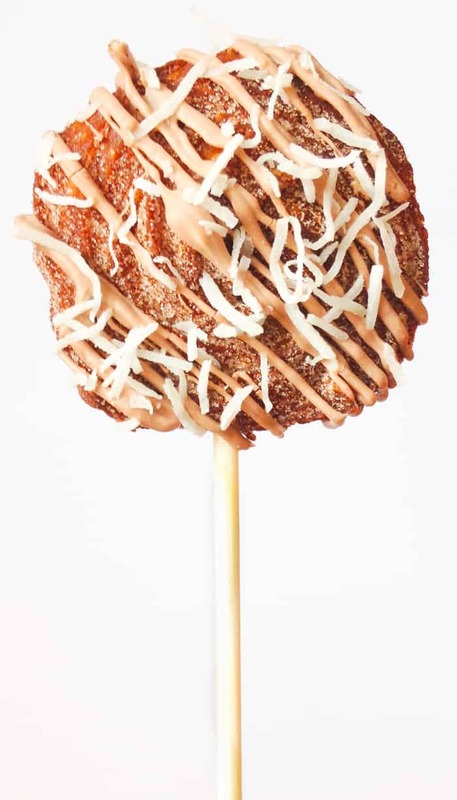 Combine sugar and cinnamon to create a cinnamon-sugar mixture and dust over the churro pop. 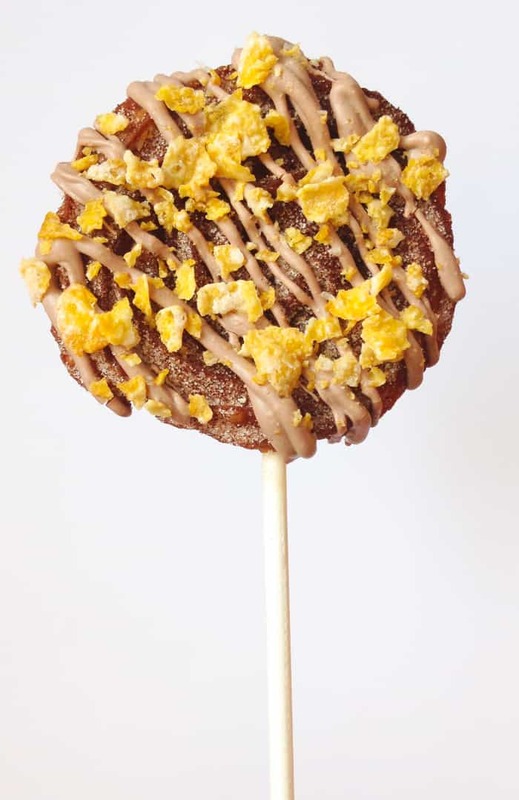 Here’s the fun step – decorate your churro pop however you’d like! 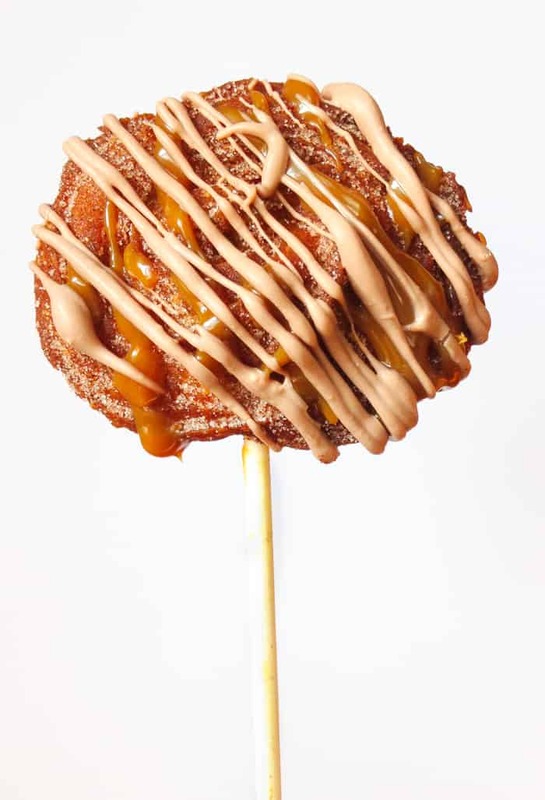 As a bonus, I thought I would include my mini tutorial on a churro bite that I am experimenting with. 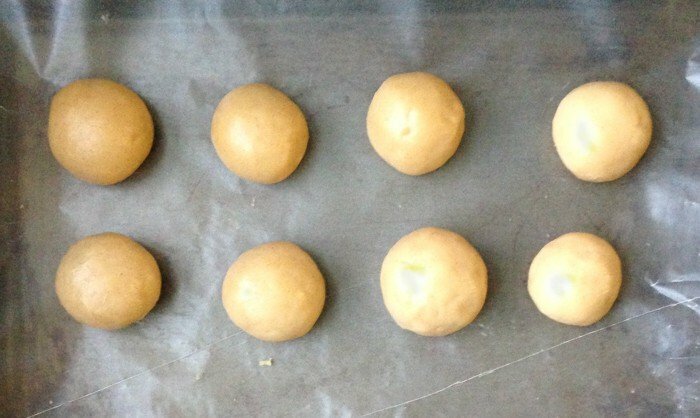 Section your churro dough into a ball and flatten. 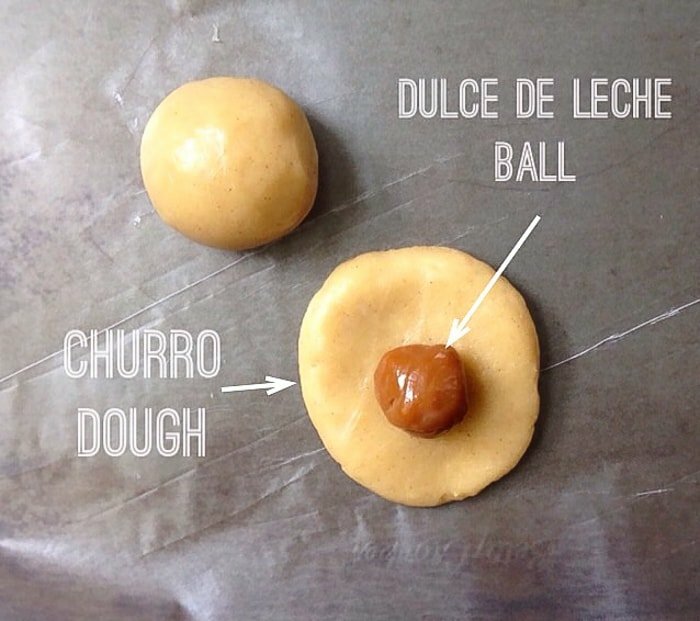 Spoon a small amount of dulce de leche into the middle of the flattened dough (resist the urge to overfill). 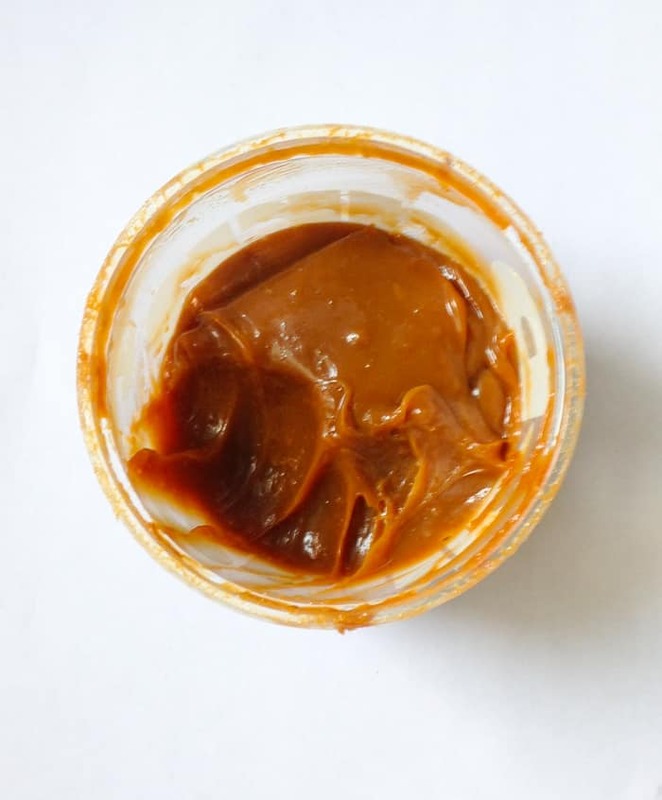 Cold dulce de leche is a lot easier to work with in this recipe so I would refrigerate it to get the best ‘spoonable’ mixture. 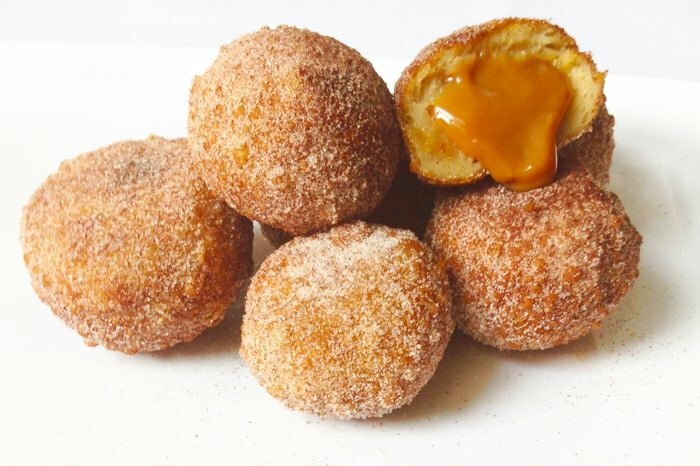 Like a dumpling, close the edges of your dough around the dulce de leche and roll into a ball, making sure none of the centre is exposed. 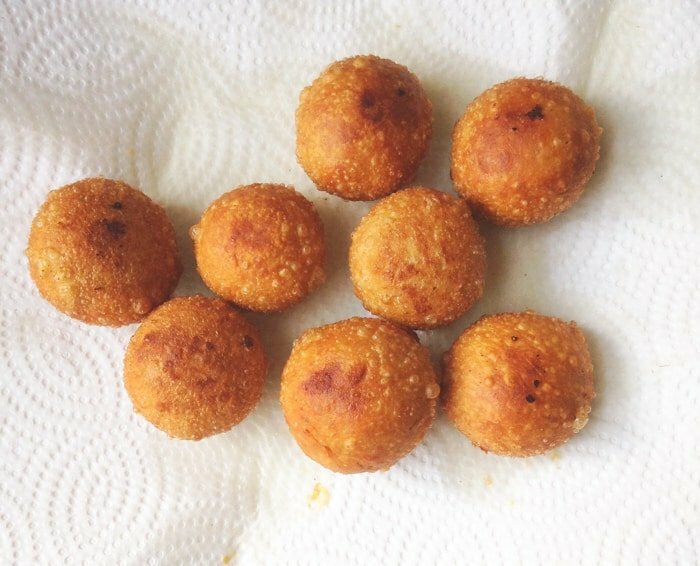 Deep fry the dough ball. 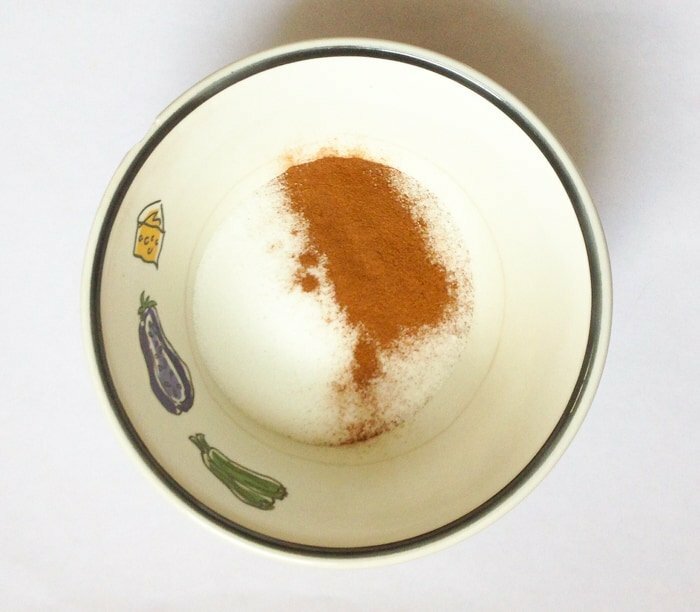 Once you remove it from the oil, toss in cinnamon sugar. So forget trying to fit into that bikini – summer is already here. Just fry up some dough and enjoy some good eatings! Happy baking! I mean, happy frying! 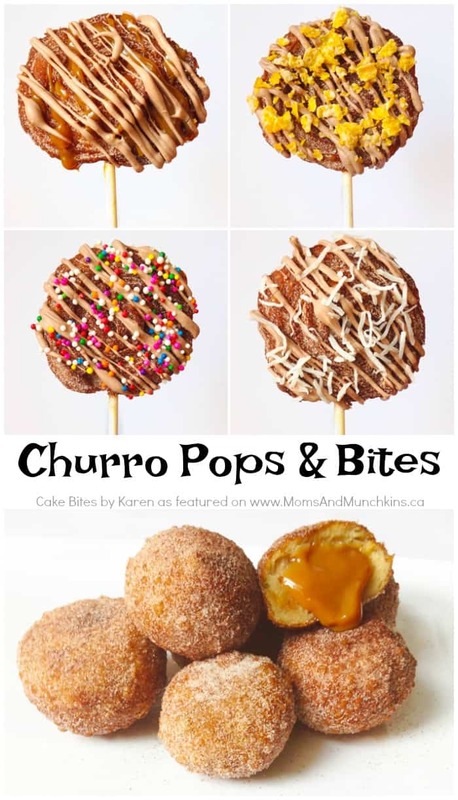 Thank you to our contributor Karen for this fun Churro Pops tutorial! 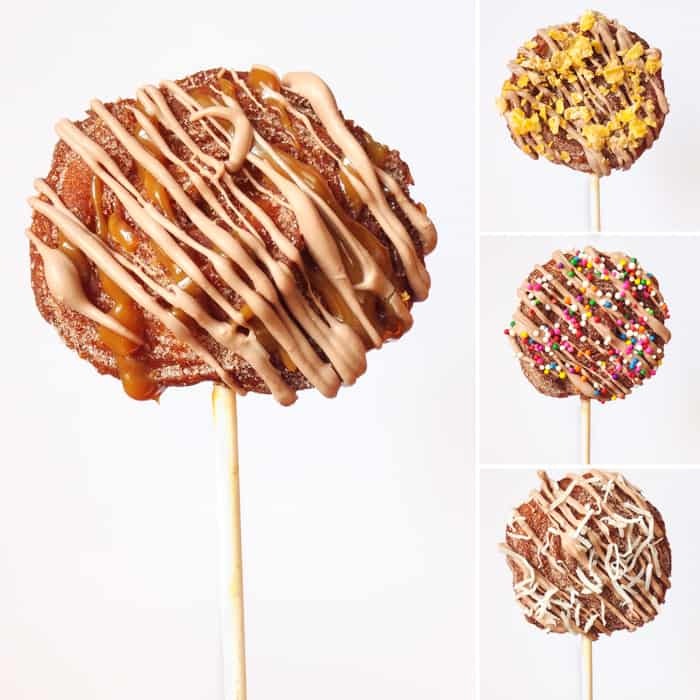 Check out more of her cake pop creations on her Cake Bites by Karen Instagram page. You’ll find even more creative tutorials and treat ideas there! 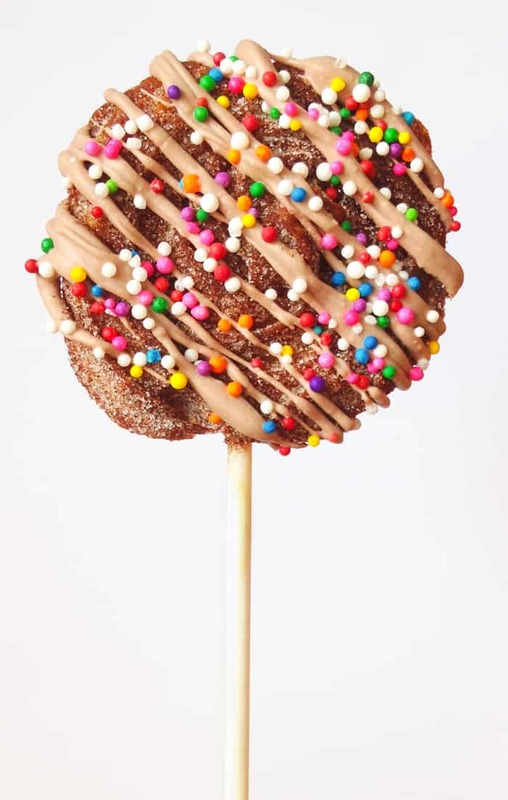 Click here to see all the Cake Pop tutorials she’s created for the Moms & Munchkins audience!